BO DIDDLEY "WHO DO YOU LOVE/MONA" 7"
B Who Do You Love? BO DIDDLEY "SHE’S FINE. 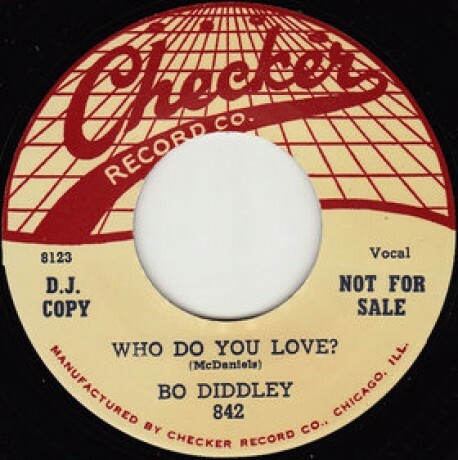 SHE’S MINE/ I’M LOOKING FOR A WOMAN" 7"
BO DIDDLEY "DOWN HOME SPECIAL / MUMBLIN' GUITAR" 7"
BO DIDDLEY "BO MEETS THE MONSTER/ WILLIE AND LILLIE" 7"
BO DIDDLEY "YOU CAN'T JUDGE/ I CAN TELL" 7"
BO DIDDLEY "BO DIDDLEY/I'M A MAN" 7"
BO DIDDLEY "PRETTY THING/BRING IT TO JEROME" 7"
BO DIDDLEY "SPRING WEEKEND 1959"